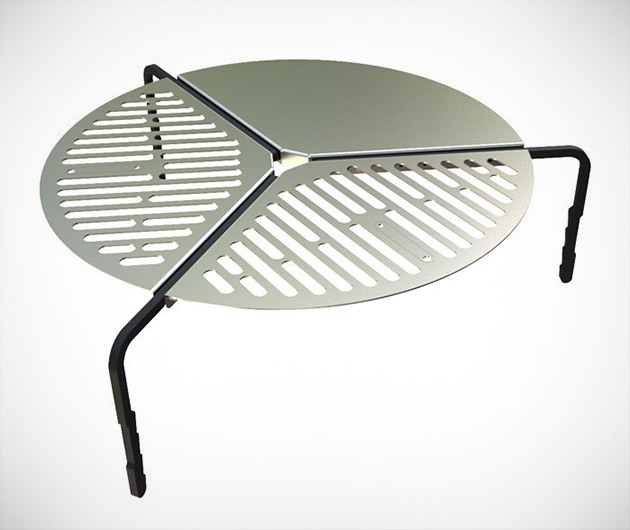 Save stacks of space by storing your stove over your spare. 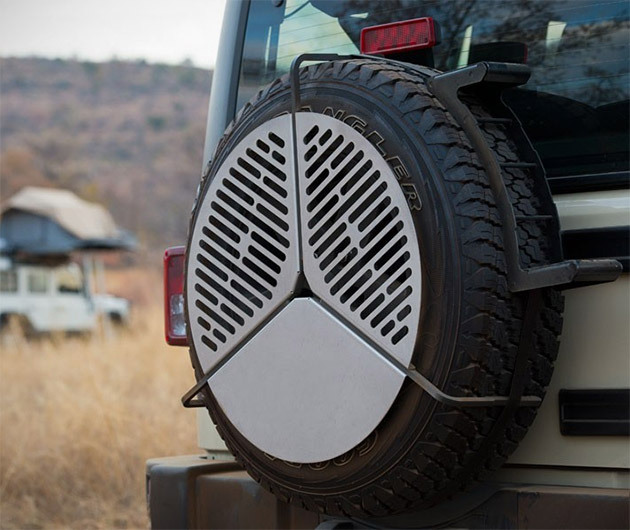 The rather ingenious Spare Tire Mount Grill sports a laser-cut steel design that hooks over your extra back wheel leaving you more room in the rear for the all-important camping goodies, such as extra beer. 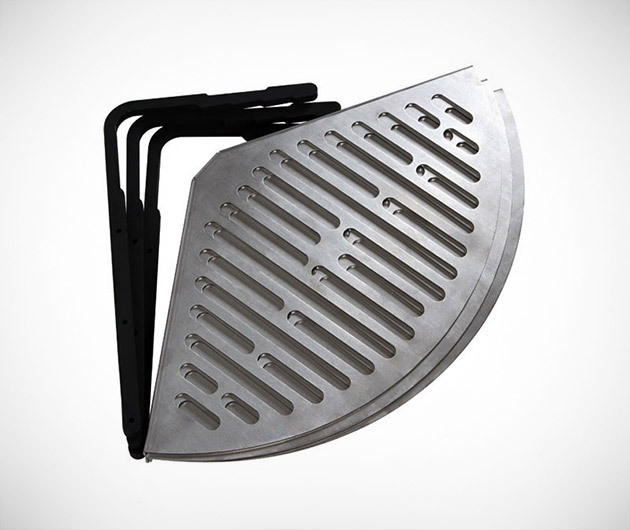 Its grill and griddle sections also offer extra campfire cooking options. 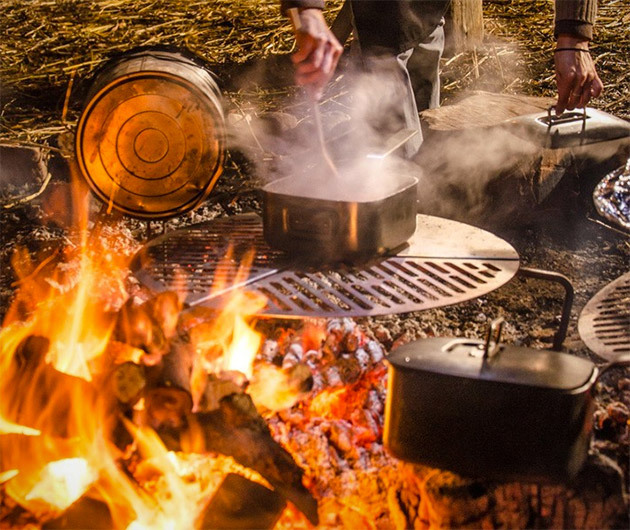 But anyway, back to those beers.